The Dolive Building, located at 110-114 North Orange Avenue in Downtown Orlando, Florida, in 2003. The original stucco structure was built around 1918 by Silas Dolive with twentieth century-style and some Spanish colonial elements. Dolive relocated to Orlando in 1886 and operated a packing house, built the White House Candy Palace, and sold real estate and insurance. The Dolive Building was also part of the Washington Street Arcade constructed in 1921. Tenants of the site included Hall Brothers Insurance Agency in the 1940s, Empire Studios in the 1950s, Bill Baer in the 1960s, and various restaurant and bars since. In 1990, property manager Sullivan Properties, Inc. and co-owner Ralph Fisch wanted to raze the building because estimated repair costs were too high. 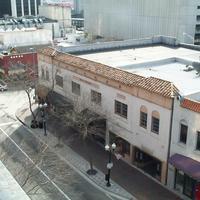 Orlando's Downtown Development Board and Orlando's Historic Preservation Board voted not to tear down the building in May of 1990 by unanimous vote. In 2002, Scruffy Murphy's, an Irish pub, was occupying the building. Another attempt to demolish the building was made in 2006. Original color digital image by Thomas Cook, 2002: Private Collection of Thomas Cook. Originally created by Thomas Cook and published by RICHES of Central Florida. "Baker Barrios Finishes Design Work for Dolive Building." Orlando Business Journal, November 27, 2006. http://www.bizjournals.com/orlando/stories/2006/11/27/daily9.html. "Don't Raze Dolive Building, Preservation Board Says." The Orlando Sentinel, May 3, 1990. http://articles.orlandosentinel.com/1990-05-03/news/9005030233_1_downtown-orlando-preservation-board-property. 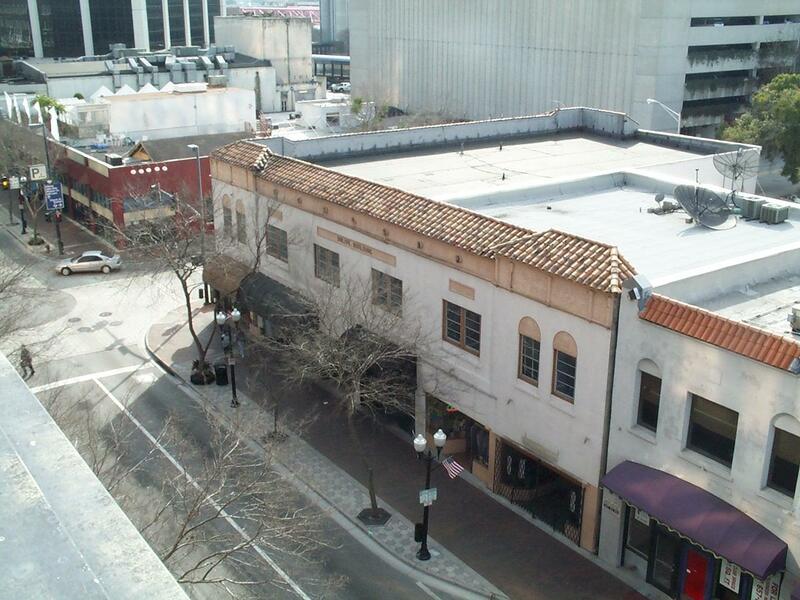 "Fight Brewing To Preserve Historic Downtown Orlando Building's Facade." WFTV, February 28, 2006. http://www.wftv.com/news/news/fight-brewing-to-preserve-historic-downtown-orland/nJrPm/. Cook, Thomas. “Dolive Building, 2003.” RICHES of Central Florida accessed April 21, 2019, https://richesmi.cah.ucf.edu/omeka/items/show/1678.